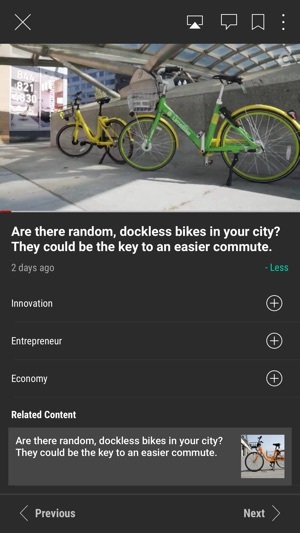 Circa is a video-driven news app. Providing coverage for every human, every day. We cover the globe with documentaries, live video, original programming and your daily news. Consume compelling, award-winning Breaking News, Entertainment, Food, Tech, Lifestyle and Circa Live content. Join the conversation. Learn, think and do. I love Circa. The interface is clean and easy to navigate, the news feeds are up to date and accurate, and the story information is to the point, while still providing adequate detail...but the app is only designed for the iPhone. It works on the iPad, but the detracting zoom feature all too painfully telegraphs "this app wasn't built for the iPad." I prefer to read on my iPad Mini, so the lack of a dedicated Circa app for the iPad often causes me to look at news app competitors while on my Mini. Add to this the lack of a landscape functionality, which at this stage of iOS development is simply unforgivable, and you end up with a great attempt at an innovative news app, but one that leaves Apple users left wanting. 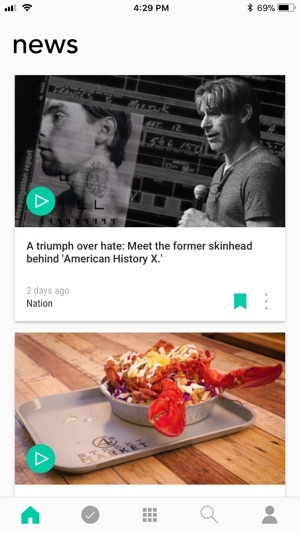 It’s really a shame to see an amazing news app purchased and turned into this video-only app, which is only usable in certain situations when you have time to watch and are in a suitable environment. This is unlike the old Circa that was perfect for quick checks of unbiased news information. They have a Web site that has written articles, so I don’t understand the angle for the app at all. I don’t see it being worth using for most people. I’ve tried it multiple times since it launched in a hope that it had changed, and it hasn’t. The fact that they did not reset the reviews for the relaunch (which was amazing, and I miss it dearly) shows that they’re just trying to piggyback off the brand instead of turning it into something truly worthy of the Circa name. Thank you Circa for the efforts you all made for the last few years in creating the best news platform out there. I have been using the app for years and loved it the whole time. I took part in surveys for betas being introduced and hoped in a small way I was helping your team achieve the best app they could have. 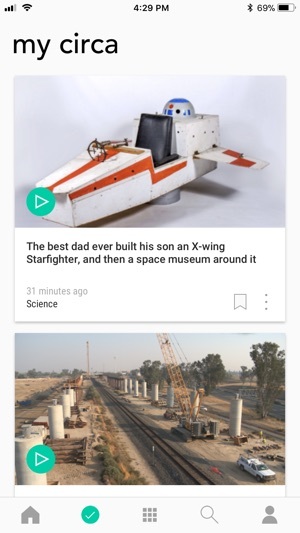 It is unfortunate to see that capital has hindered the continuance of the app but I just wanted to express my appreciation for your efforts in creating this news source. Hope to see the app up and running again some time in the future.